BANORA Point whistleblower Fiona Barnett will be Bravehearts' local representative at the organisation's annual White Balloon Day activities on September 6. Ms Barnett last month appeared before the Royal Commission into Institutional Responses to Child Sexual Abuse to testify about the activities of a teacher she says was responsible for the abuse of at least 20 local children in the 1980s and 1990s. She said she was then approached by Bravehearts to represent the group locally at its fundraising event that will involve hundreds of schools, day care centres, businesses, councils, sporting clubs, community groups and organisations around Australia. Bravehearts founder and executive director Hetty Johnston said: "White Balloon Day is about encouraging kids to come forward and break the silence, while we raise the necessary funds to ensure vital support networks and programs can continue." 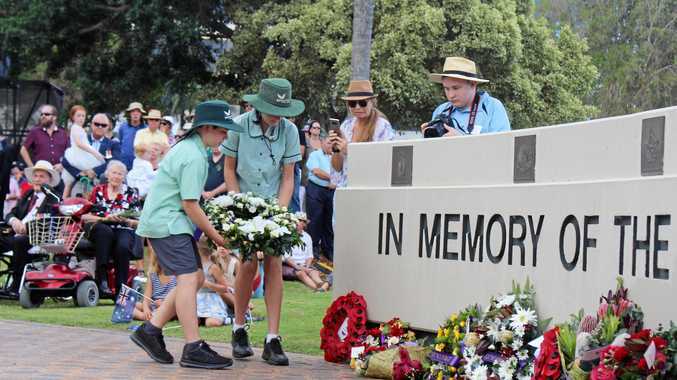 News Where and when services will be held across the Tweed Shire tomorrow, as the community commemorates ANZAC Day.